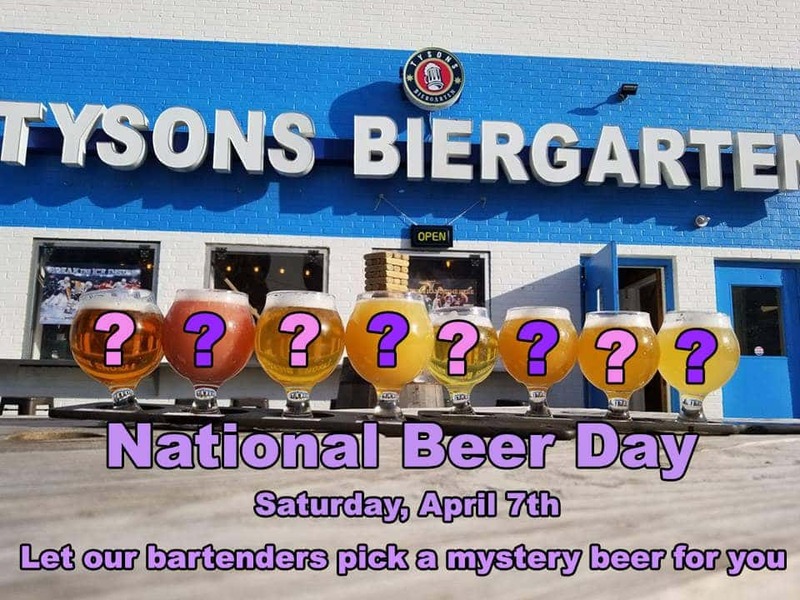 April 7th is National Beer Day, and yes, we observe the holiday. Head down to the basement, where, if you’re feeling brave, our bartenders get to decide which beer you’ll be drinking! Expand your drinking horizons and try something new. Mystery beer options to come… stay tuned. National Beer Day isn’t just about us – it’s about you too. Post a picture of your beer at Tysons Biergarten (make sure to tag us or post it on our wall), and on Sunday, we’ll choose the best one to win a $50 Biergarten gift card! Twitter and Instagram submissions accepted (@tbiergarten). Drink specials all day long until 9pm! RSVP on facebook here.